Gold Metallic Shreds by the 8 oz. bag are a good way to draw attention to your product. Not recommended as a supportive shred. 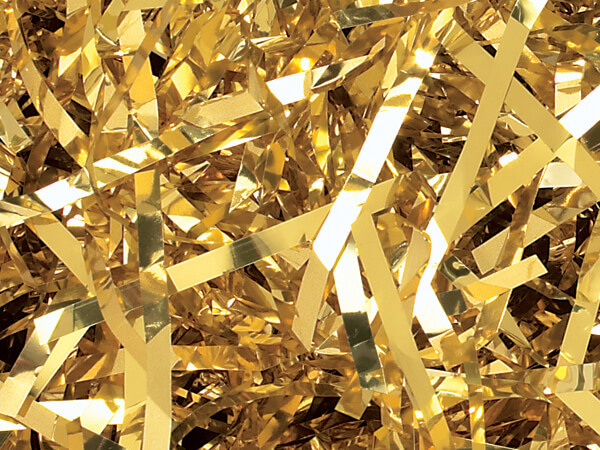 This beautiful shredded metallic cellophane is great to use gift baskets, to make a bold statement. The simplest item nestled in metallic cello shred will look magnificent! Each shred is approximately 1/8" wide. These shreds are proudly made in the USA.